Description: Coffee pods, suitable for most espresso machines. ALFREDO ESPRESSO SUPER BAR is suitable for preparation with traditional espresso machines, and Sensel machines. 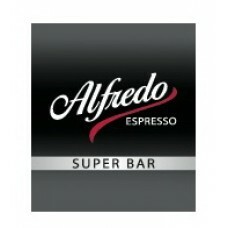 This dark roast is based on a classic Italian recipe which gives ALFREDO ESPRESSO SUPER BAR its fiery and powerful taste, with a velvety crema.